The Sharper Image has recently announced an extensive recall for units of a USB wall charger it sold between the months of October 2011 and September 2012. There have been reports made by some consumers of possible fire and burn hazards, prompting the company, the manufacturer, and a government institution into action. Atomi, the New York City-based importer and manufacturer of the USB wall charger, has been working with the United States Consumer Product Safety Commission (CPSC) to recall all units of the Sharper Image wall chargers and ensure maximum safety for all users concerned. 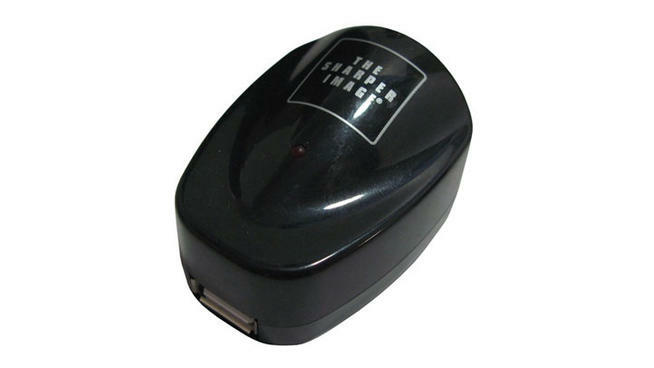 The Sharper Image wall charger is a USB device that was meant to charge MP3 players and other compatible devices via a USB cord. Prior to the recall, Atomi received 13 reports from certain consumers that the product had overheated, started smoking, or gave off chemical smells. Fortunately, there are no injuries included in any of the reports. As a result of these reports, Sharper Image is recalling about 80,000 units of the USB wall charger from shelves. The USB chargers are made from black plastic, measure two and a half inches wide and tall, have “The Sharper Image” located on the top and bottom of the unit, and have the numbers TSI202 and TSI260. A number of the chargers were sold by the Burlington Coat Factory, Tuesday Morning, TJ Maxx, and some online stores. Some other details that may help consumers determine if their USB wall charger is part of the recall is the price and manufacturing location. The defective units were sold between the prices of $8-$13 and were manufactured in China. The Consumer Product Safety Commission recommends that owners of these defective units should stop use immediately and get in touch with Atomi in order to get detailed instructions on how to return the product and obtain a full refund. Consumers can contact Atomi through a toll-free number or by email. For those who want to get in touch with the company by phone, use the number (800) 790-1440 and call during business days and hours. If you prefer email, send one to info@atominy.com. This entry was posted in Articles and tagged The Sharper Image, USB charger. Bookmark the permalink.